Here is the quick list of the top three dating sites in Indonesia. I’ll go into more detail in my reviews later in this article. Indonesia like Malaysia and Singapore has a pretty small but effective online dating scene. There are a handful of really good dating websites to choose from. The best online dating sites in Indonesia have a simple interface (that even my grandmother would have no trouble navigating) and a good-sized membership base to make it worthwhile to elect the paid membership option. Indonesian women are not known for jaw-dropping beauty like the Filipinos. With that said, as is the case with pretty much any culture, there are always some hidden gems. For best results, try to get your online dating game going in a big city with a large population, such as Jakarta. Should you decide to sign up for the online dating sites I recommend below, be sure to read member profiles carefully as you might come across a lot of fake profiles. Usually, I can spot these profiles pretty easily. A woman who has only one picture posted, is wearing a tight bikini and making an overly suggestive pose are usually clear signals to steer clear. Another clue of a pretender is a woman who has a poorly written profile. As a general rule of thumb, the more boring the profile, the more boring the person. Without further ado, here are my detailed reviews of the top three dating sites in Indonesia. IndonesianCupid is the best online dating site in Indonesia. No other site has found that good balance between quality, size of membership, and affordability. IndonesianCupid is part of the Cupid Media Network, and thus sports the same clean website design, easy sign-up process, and great communication features as other Cupid Media sites. Detailed profiles and effective anti-spam measures add to this site’s strengths. Unfortunately, IndonesianCupid seems to harbor a fair number of sketchy profiles, who will message you immediately after signing up, without visiting your profile. Avoid these few bad eggs though, and you will enjoy using this site. Signing up is a pleasantly brief process, with only your Facebook account or your name, gender, password, and email required as a first step. Next, just share a few words about yourself and what your ideal partner would look like, and you’re in. At this point, you can either finish filling out the rest of your profile or start searching for that perfect match right away. When you get around to finishing your profile, get ready to spend some time doing so, as there is a lot to fill out. Some of the questions in the Personality Profile section are repeated from the Profile and Interest tabs though, which feels like an oversight. When looking through your matches, you can view search results in four ways: photos only, photos and basic information, photos, basic information and a short blurb, and by full profiles. You also have many options for narrowing down your search, including searching by: age, location, and education, body type, ethnicity, lifestyle choices (smoking, drinking, etc. ), marital status, whether they have kids, religious views, even their star sign. Basic messaging on IndonesianCupid has a few options, none of which very useful if you’re looking to genuinely connect and communicate with other members. You can “send interest” to and favorite other members, which they will be notified of. However, if both of you are Standard members, neither of you will be able to speak to the other. You can send messages, but not read them, as they’ll be “locked” and blurred out. The one upside here is that communication features as a premium member are fantastic. Audio, video, and IM are all available, and have proven to be invaluable features for ensuring match compatibility before meeting in person. One of my favorite features on IndonesianCupid is the opportunity to filter who you receive messages from. You have many filtering options, from age and location, to nationality, religion, ethnicity and more. While this feature will typically be more useful for women, as they tend to receive more messages than men on dating websites, I personally found this feature extremely useful for filtering out spam messages. As I mention in my online dating e-book, just like the real world, there will be men or women who you will not click with or who don’t respond to your messages (or just disappear). There will be men or women who might only be interested in helping you to part with your hard-earned cash. That is life. 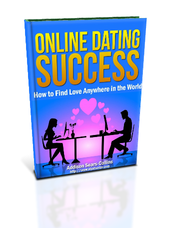 Just keep sending out messages and reach out until you find the person you are looking for and get success. DateinAsia.com is completely free and has a lot of members. 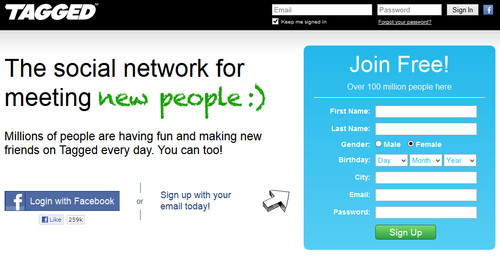 I know a lot of friends who love this site because it has a bunch of members, and they’ve had success with it. I find the quality on DateInAsia pretty poor though, and the number of women looking for “clients” seems high. However, if you prefer a free dating site, this is an ideal place for you. The benefit of this site is that it has a lot of members, and, if you work hard enough, you are virtually guaranteed to come away with some contacts. However, at the end of the day, you get what you pay for. You will have to spend a lot of time weeding through low quality profiles. 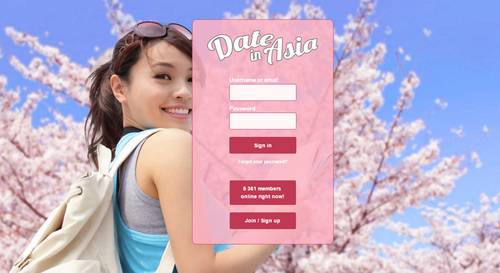 If you’re interested in signing up for DateInAsia, check out my full write-up on the site over on my review of the best dating sites in Malaysia. I like to leave no stone unturned in the dating search, so I recommend you sign up for Tagged and give it a try after you’ve exhausted the other options above. I must say that the Tagged interface is not nearly as clean as the interfaces of the sites I mentioned above and is a bit confusing for my tastes. Also, not all of the profiles seem to be real, meaning that you have to weed through a lot of garbage in order to find the hidden gems. If you’re interested in signing up for Tagged, check out my full write-up on the site over on my review of the best dating sites in Vietnam.